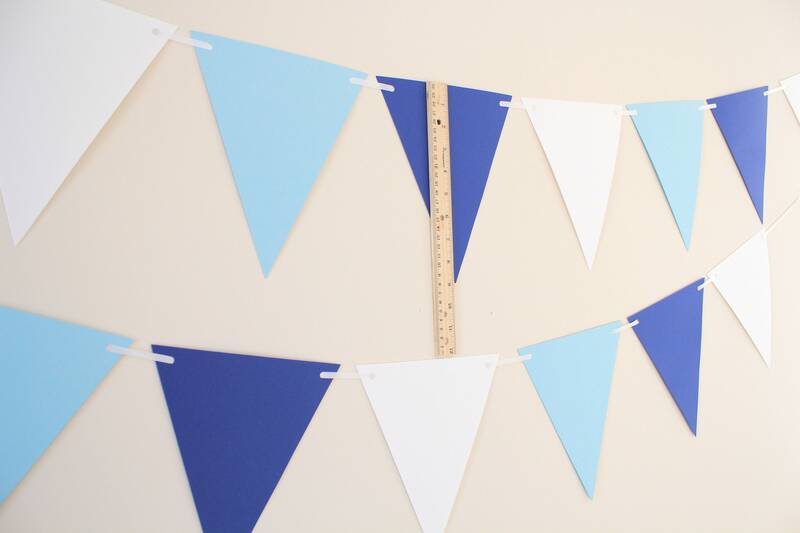 This pennant banner will add a great touch to your next baby shower, birthday party or any other special event! 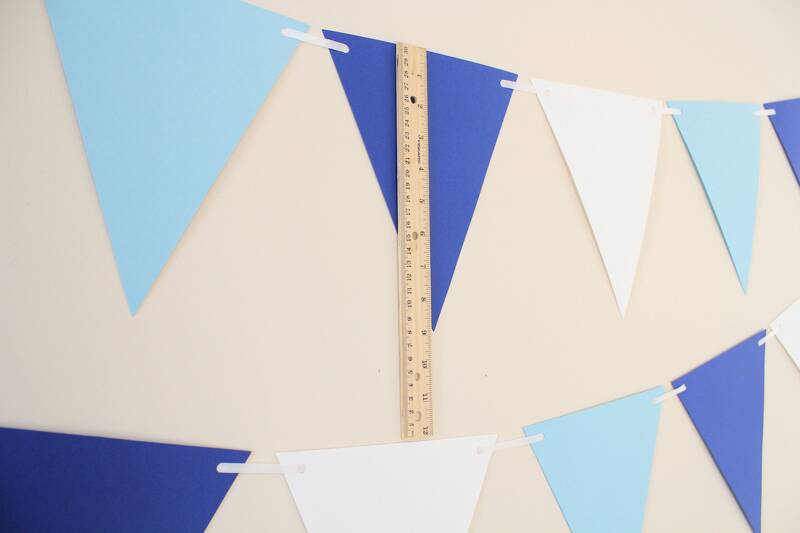 Use it behind a cake or dessert table, as a photo backdrop or just about anywhere to add a colorful and fun touch. 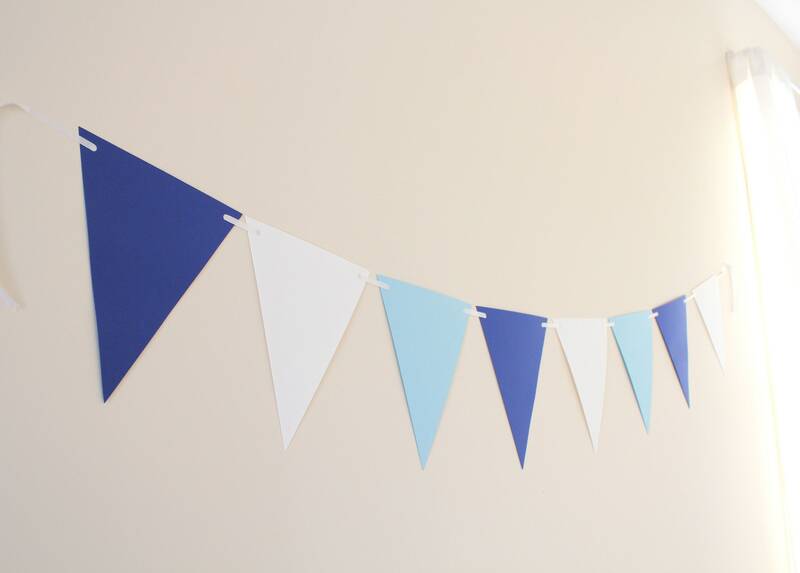 Banner is made of heavy card stock that has been strung onto a white ribbon. 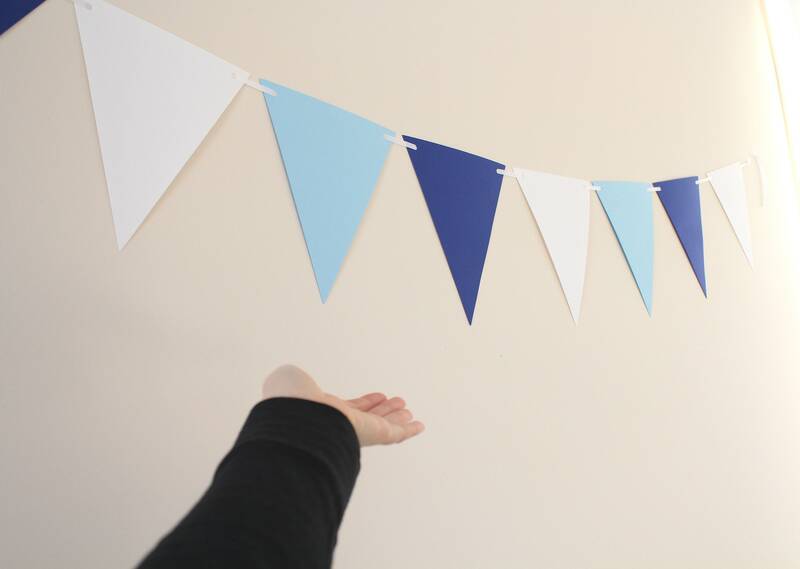 The pennants are free moving on the ribbon and can be adjusted once hung up. 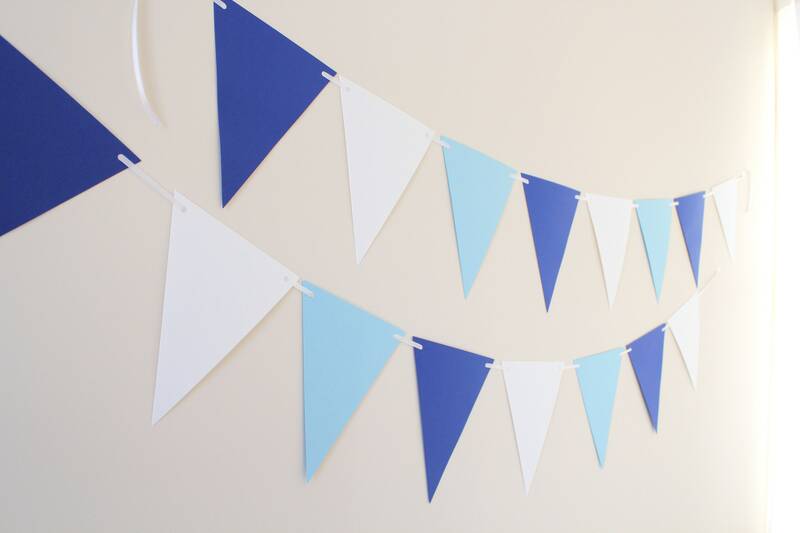 There is extra ribbon at each end of the strand that can be used to tape up the banner. The best part is that the banner can be folded up and reused. 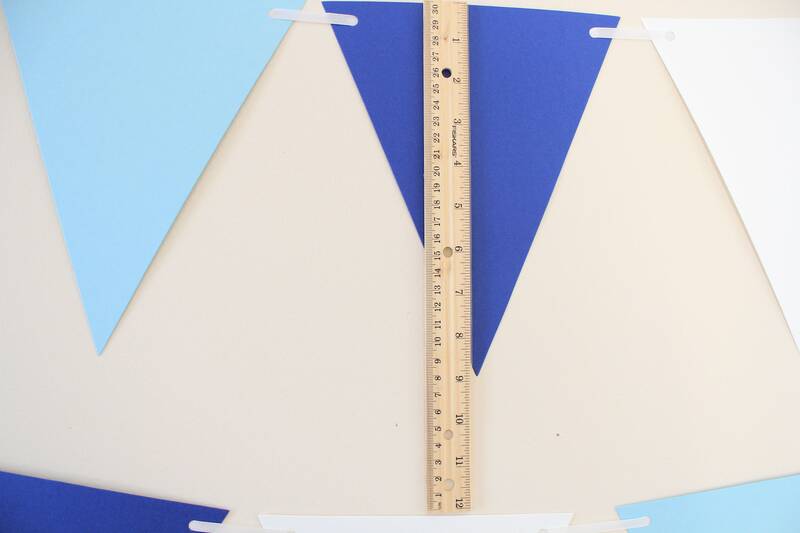 Each triangle measures approximately 7" wide x 9" long. 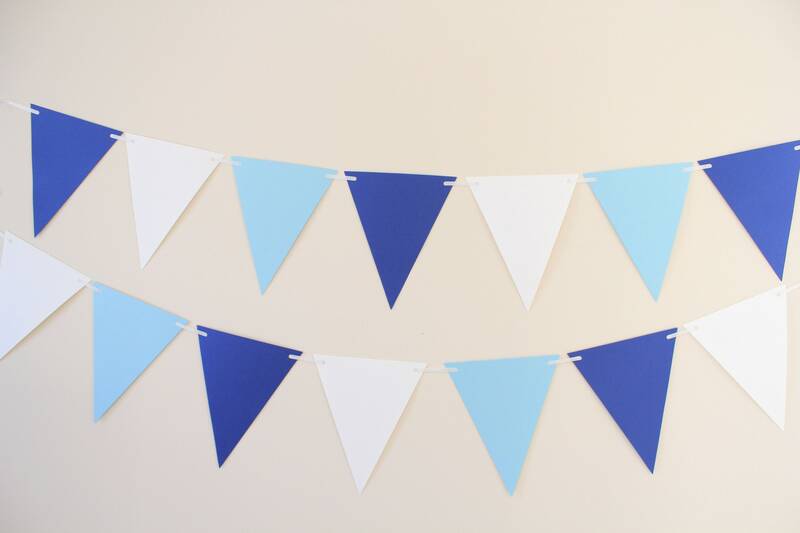 (1) Single strand banner that is approximately 6ft long in royal blue, white and light blue strung onto a white ribbon. * Listing is for 1 single strand of garland photos may show multiple strands. This item can be customized. If you would like a custom colors please contact me.